At Oberheiden, P.C., former Department of Justice trial attorneys, former federal prosecutors, and sophisticated litigators offer physicians, business owners, executives, and entities such as pharmacies, toxicology labs, medical services distributors, and hospitals extensive litigation and courtroom experience. The former Assistant United States Attorneys of Oberheiden, P.C. 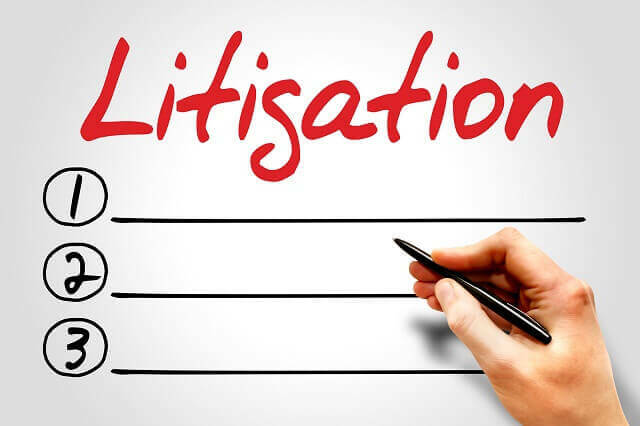 supply the litigation dominance and courtroom dauntlessness needed to protect your business, your assets, and – not least – your reputation. The attorneys at Oberheiden, P.C., have prosecuted, defended, and, most importantly, won health care cases in courts across the country, including Florida, New York, Washington D.C., Arizona, Georgia, Colorado, Louisiana, New Mexico, Oklahoma, Tennessee, and Texas. We handle both civil and criminal cases. Litigations involving the health care industry, which is the second most regulated industry in America, add an additional layer of complication to any case. Ordinary business litigation focuses on whether or not someone committed a tort or breached a contract, as well as on procedural rules. While health care litigation involves these same topics, litigation strategies for health care cases also need to incorporate additional factors above and beyond the common procedural and legal considerations. Going to court with a lawyer who treats a health care case the same as a routine commercial case may lead to a disastrous result. The former federal health care prosecutors at Oberheiden, P.C. have witnessed first-hand the ways in which poorly conducted civil (health care) litigation can result in criminal prosecution or other government intervention. If you are involved in health care litigation, don’t trust your case to an average corporate litigator. The key to winning health care litigation cases is a unification of outstanding trial skills with an in-depth knowledge of the health care laws and applicable regulations. Often, opposing parties in health care cases will attempt to win the upper hand by making allegations of health care fraud, HIPAA breaches, and violations of the Stark Law or federal and state anti-kickback regulations. If this happens to you, you need attorneys who can quickly and decisively respond to the accusations without creating undue escalation in a public manner that may draw the federal government’s attention. Failing to recognize these potential dangers can lead to extremely negative outcomes for everyone involved. Take our word for it as former federal health care prosecutors. Each client at Oberheiden, P.C. is represented by senior attorneys with exceptional backgrounds. We recognize that each matter is of utmost importance and offer our fullest attention to your case. Call one of our attorneys today to obtain a free and confidential assessment of your case. How Many Health Care Fraud Investigations Have You Handled? How Many Federal Trials Have You Handled? At Oberheiden, P.C., our former health care prosecutors and senior health care litigation attorneys regularly represent doctors, nurses, chiropractors, other medical professionals, health care executives, business owners, entrepreneurs, marketers, DME companies, toxicology and DNA laboratories, pharmacies, hospitals, and other industry actors in health care-related litigation. Our clients do not waste their time or money on paraprofessionals or young lawyers experimenting with different techniques. We are proud of our dedicated service to each client, our industry experience, and our tailored skillset. The attorneys at Oberheiden, P.C., have prosecuted, defended, and, most importantly, won federal litigations in courts across the country, including in Florida, New York, Washington D.C., Colorado, Louisiana, New Mexico, Oklahoma, Tennessee, and Texas. We handle both civil and criminal cases. Contact Oberheiden, P.C. to discuss your health care litigation case today.